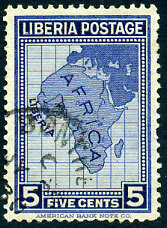 dated A/AU 11 05 on Liberia 5c Elephants, slightly soiled. 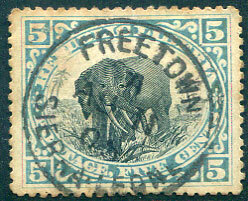 arrival on 1892-96 4c (Scott 35), perf. defect at base. 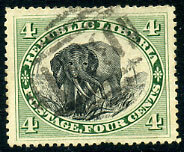 (018.05) C/JY 3 30 on 5c, some thinning.